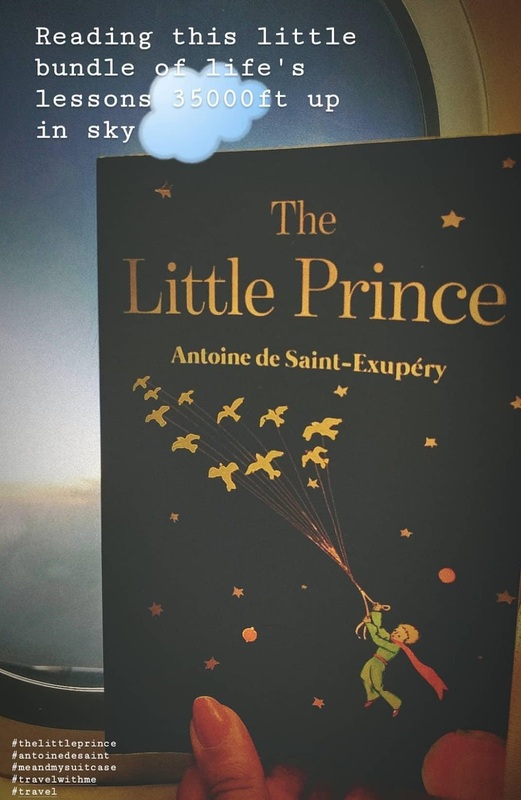 The Little Prince, a novella first published in April 1943 as Le Petit Prince (French) is the most famous work of Antoine de Saint-Exupéry, a French aristocrat, writer, poet, and pioneering aviator. The Little Prince is one of the most-translated books in the world with translations (1) in 300 languages and dialects. As per records it sells nearly two million copies annually and has become one of the best-selling books ever published (2) (3). Antoine's writing work resonates with his own experiences as a pilot which inter alia includes the novella The Little Prince, a tender tale of loneliness, friendship, love, and loss. This story is more of a poetic work which talks about a young prince visiting Earth traveling from his home, which is nothing but a small asteroid. Antoine is believed to have put his aviation experience(s) in Sahara Desert in the form of a story to create The Little Prince. As I started reading, I was introduced to the psych of author, on how he is trying to put on paper the child part of his heart. How simply he has dissected the general behavior and psyche of different kind of people and the thinking of mankind by portraying them in to different kind of persons residing on different planets. The novella also focuses on what sets a child (read innocent and selfless being) and adult (read matured in every way and self-centered being) apart, how a heart of child is creative, flexible and curious while others fail to see the innovative and imaginative part of life. Antoine has also given the meaning to why we love something more than the other by using the metaphor Rose. I believe that through this book he wishes for the readers to find the rose of their life. Although, we have that something / someone special with us, we often fail to see them because of our lack of creative insight. One should lose inhibitions and apprehensions to see the world in a better way. A simple outline can be interpreted in a different way by different people. Have you ever tried imagining different shapes and creatives in a cloud or mountain or in the heart of people? It is very simple once you get in touch with the child sitting somewhere in your heart, you just need the right song to wake them up. Get lost in desert once to find yourself and understand what it is to live like a child again because only a child will be creative enough to know how best a desert can be survived (according to me desert means the hardship life offers sometimes). All grown ups were once children but only a few of them remember it. What are you? Read this book and you will know. Highly recommended. This book is a little bundle of Life's Lessons. When I read about this book, I found that some people have suggested that it should be read once as a child, then a teenager and finally as an adult, as the perspective of a person changes as they grow. So, I recommend the same, but, in case you have bypassed any of the stages, read it now and after a few years again. As US mountaineer, Greg Child has said, Somewhere between the bottom of the climb and the summit is the answer to the mystery why we climb. Well, when you read this book, you will be able to do exactly that, and dissect why you did certain things and further what will help you gain your child side once again to live an interesting life. P.S. The Little Prince was gifted to me by a senior colleague at work with the message, "Find your rose and love it", the meaning of this message I could only understand after finishing the book. So, may I find my Rose and you do too. Excellent Review. I wish everyone to find their rose and find their meaning for themselves. As a child, teenager and adult- that's some awesome advice! I do imagine shapes in clouds and I like to believe I am still a kid in several aspects and wouldn't want to change it. Haha..
Makes me want to read it. I had not heard of it before. Nice review. I liked the sentence in the book which says ......you are responsible for those you love.